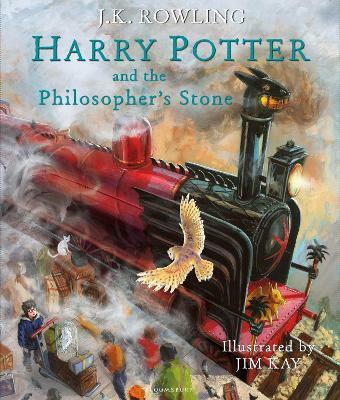 Prepare to be spellbound by Jim Kay's dazzling depiction of the wizarding world and much loved characters in this full-colour illustrated hardback edition of the nation's favourite children's book - Harry Potter and the Philosopher's Stone. Brimming with rich detail and humour that perfectly complements J.K. Rowling's timeless classic, Jim Kay's glorious illustrations will captivate fans and new readers alike. .